Learn how to generate traffic and sales through the power of local Search Engine Optimization (SEO). Quotit has been helping brokers increase productivity and reduce costs for more than 15 years by simplifying the way a broker can do business online. 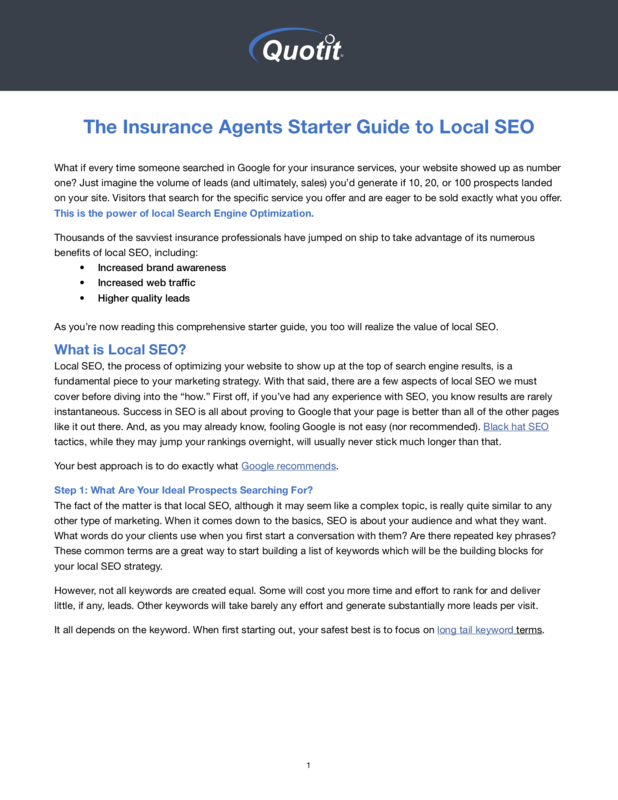 Find out how you can increase your web traffic and leads through the power of local SEO by requesting our free guide now.